In mid-August, Lobo de Rizzo Advogados announced the incorporation of environmental boutique Pires Castanho Advogados. 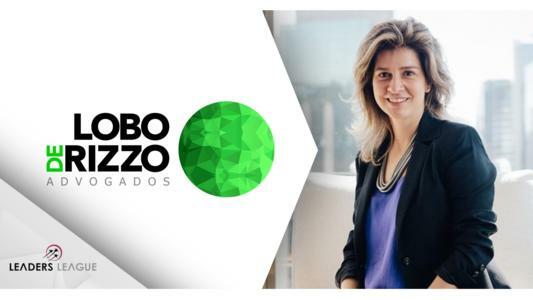 In mid-August, Lobo de Rizzo Advogados announced the incorporation of environmental boutique Pires Castanho Advogados and the subsequent appointment of Renata Pires Castanho as the new head of its environmental practice. The move marks Lobo de Rizzo’s fifth new partner of 2018 in a year which has seen the firm’s legal team grow by 30%. Ms. Pires Castanho additionally brings a team of three associates with her to new firm Lobo de Rizzo. New head of environmental law Renata Pires Castanho offers clients over 20 years of experience in environmental litigation and consultancy mandates. She holds a Bachelor of Laws from Pontifícia Universidade Católica de São Paulo (PUC-SP) as well as a specialization degree in Environmental Management and a Master’s in Civil Procedural Law from Universidade de São Paulo (USP). Ms. Castanho additionally teaches Environmental Law at the Continued Education Program of Escola Politécnica - USP. Ms. Castanho formerly worked at heavyweights Pinheiro Neto Advogados and Milaré Advogados before founding her own firm, Pires Castanho Advogados | Consultoria Ambiental in 2007. After nearly 12 years at the helm of her own practice, she joins Lobo de Rizzo Advogados as the new head of its environmental team which presently consists of five attorneys. Established in 2007, Lobo de Rizzo Advogados has been swiftly growing since opening its doors. Today, the firm consists of 110 lawyers offering legal services across 12 practice areas, being particularly celebrated for its strength in high-end M&A transactions, private equity deals, competition law and dispute resolution issues.